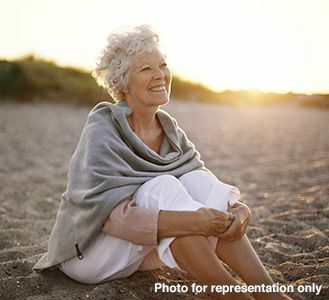 After Urgent® PC, Joan could live her life accident free! As a result of two surgeries, I had some bladder problems that tended to get progressively worse -- basically leakage I wasn't able to control. After a while it got to be more and more and more. It would be leakage all during the day as well as pretty much all during the night. During the night I would be sleeping fine but when I woke up I would have to go very, very fast to the bathroom. And where I live right now the bathroom is kind of far away. So many times I did not make it. I started taking some medications but my problem was still not improving enough to be able to make my lifestyle and problem coordinate. My urologist suggested a therapy that would help stimulate the nerves in my leg to be able to tell my bladder to work better. I saw a change in my symptoms very gradually. By the time I got to the end of the treatment there was a significant change. Sometimes I would sleep the whole night and not have to get up and go to the bathroom. And, no accidents! For people who have my particular kind of problem of bladder control, I would like to encourage individuals to consider the possibility of PTNS because it gives you a chance to see how it works for you. And, you don't have to tie yourself to other types of treatments or perhaps lack of treatment. If you can have the relief I had, you can be free to do what you want to do when you want to do it. You can go back to your regular lifestyle.